The most-advanced speech-recognition in the world which you know and love — is now "cloud-based." 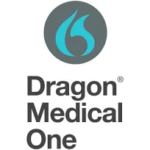 Dragon Medical One desktop application provides secure, accurate, and portable, cloud-based clinical speech-recognition across a wide range of Windows® devices. Application immediately responds and adapts to any accent/dialect without any additional training for more accurate clinical documentation. 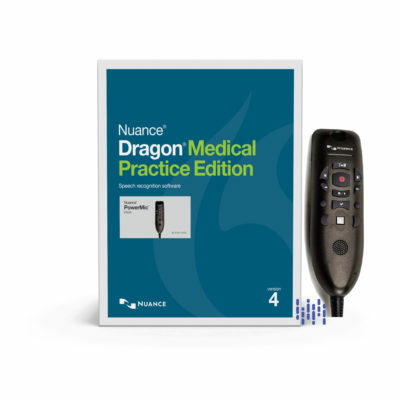 Dragon Medical Practice Edition 4: the newest release of Nuance’s industry-leading clinical speech-recognition software is one of the fastest and smartest ways for busy clinicians to document care. Simply - the best, got better! More accurate than ever with new Advanced Deep Learning technology. Add the new Nuance POWERMIC 3 hand-held noise-cancelling microphone to further advance your clinical workflow and documentation (available in 3 ft. and 9 ft. USB cord lengths). Or, go wireless with the newly evolutionized Philips SpeechMike Premium Air. SAVE MONEY AND BUNDLE TODAY! SpeechMike Premium Air - The elite performance and evolution of the SpeechMike Premium - without the cord: Evolve and Go Wireless. The ONLY wireless hand-held microphone available for healthcare providers today. This exceptional studio-quality microphone provides for better speech-recognition accuracy with built-in noise reduction filter technology. The navigation buttons are easily customizable to integrate with both Dragon Medical and Dragon Medical One products. Stop being tethered to the computer! 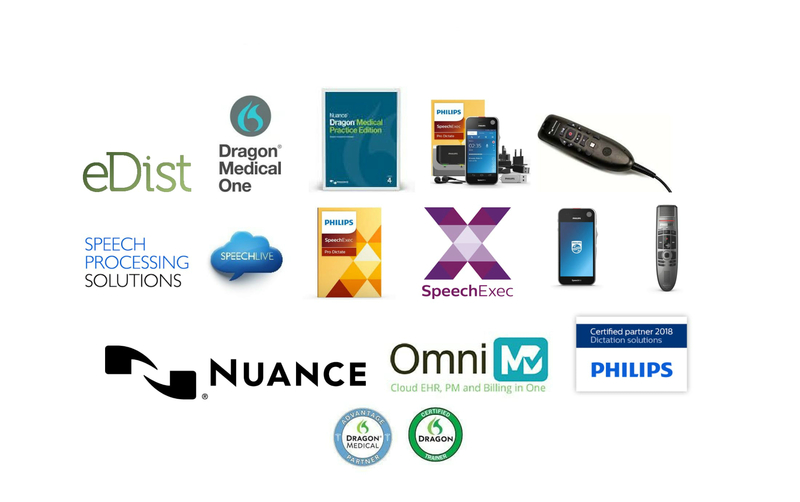 Become mobile and wirelessly dictate directly into any EHR/EMR system. Bundle with the NEWEST Dragon Medical Practice Edition 4 - save today and dictate tomorrow. WIRELESS DICTATION - CUT THE CORD! 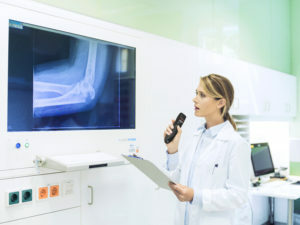 All of our Medical Dictate speech-recognition packages are customized and designed for each health care practitioner based on their specialized needs. All Medical Dictate packages include lifetime warranty headsets, unlimited training and support, and advanced training videos, specifically designed for Dragon Medical. We take pride in our customer service, building relationships and not merely selling products, and, as proof, we offer 24/7 customer support and training including nights, weekends, and holidays, if necessary. With over 50 years of combined experience in business-to-business relationships, we strive to satisfy the needs of our clients. Most importantly, we utilize our expertise in designing a Medical Dictate Package that is suitable for any medical practice and meets any budgetary limitations, and to provide additional financial options, we offer third-party financing, as well.